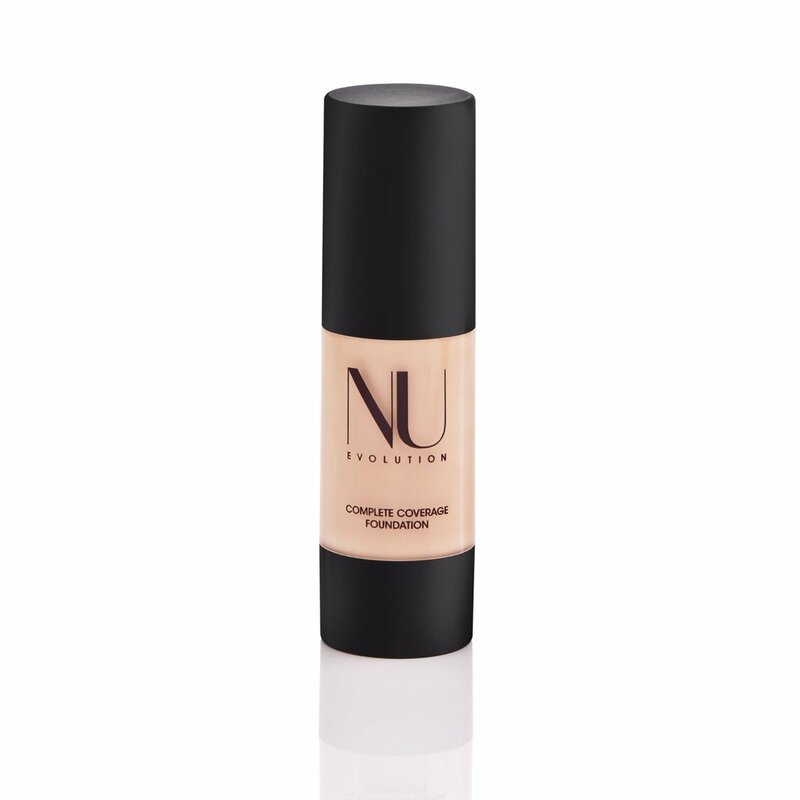 Perfect for those seeking a true full coverage, matte liquid foundation, this Complete Coverage foundation by Nu Evolution is a real winner! 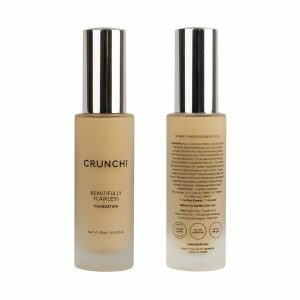 Always formulated without common irritants like Bismuth Oxychloride, Phenoxyethanol, artificial dyes, mineral oil and more, this foundation applies super creamy and ultimately dries with a flexible but matte airbrushed-looking finish! 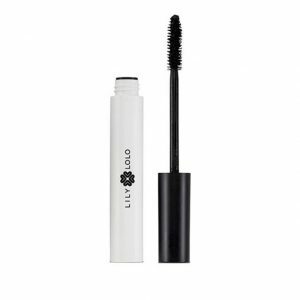 This also contains calming ingredients like Rosemary and Sunflower Seed Oil making it a great choice for those with sensitive skin. Best For- Those that like a medium to full, matte coverage that still lets the skin breathe. 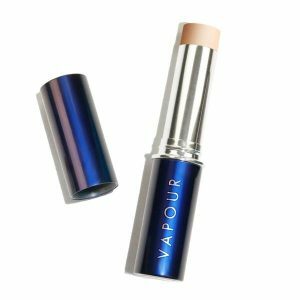 To Use- This is best when applied with a damp beauty blender or foundation brush. For a more dewy look, use a facial oil under. 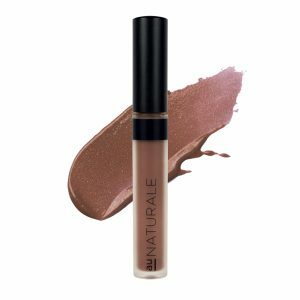 Shade- 107 is caramel colored with beige undertones for medium to golden skin tones. Water/Aqua, Chamomilla Recutita (Matricaria) Extract, Glycerin 8043-29-6, Simmondsia Chinensis (Jojoba) Seed Oil, Helianthus Annuus (Sunflower) Seed Oil, Cera Alba (Beeswax), Carnauba Copernicia Cerifera (Carnauba) Wax, Stearic Acid, Lecithin, Sodium Hyaluronate, Origanum Vulgare (Oregano) Leaf Extract, Thymus Vulgaris (Thyme) Extract, Cinnamomum Zeylanicum (Cinnamon) Bark Extract, Rosmarinus Officinalis (Rosemary) Leaf Extract, Lavandula Angustifolia (Lavender) Flower Extract, Hydrastis Canadensis (Goldenseal) Root Extract, Citrus Grandis (Grapefruit) Leaf Extract, Tocopheryl Acetate (Vitamin E). May Contain: Titanium Dioxide (Ci-77891), Mica (Ci-77019), Iron Oxides (Ci-77491), (Ci-77492), (Ci-77499).